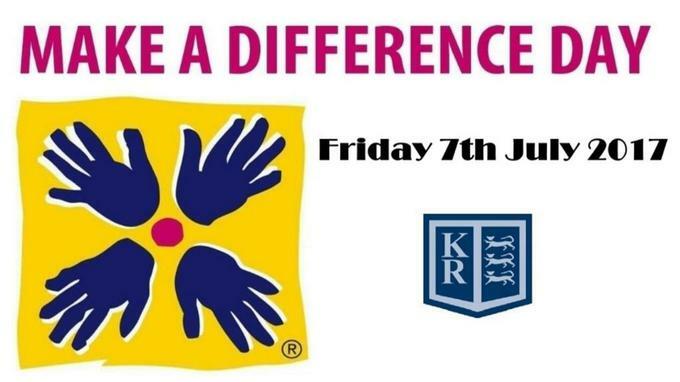 Difference day has now been a successful annual event for the last two years at Kings Road. This year it will be held on Friday 7th July. Each class will take part in an extra special event in order to make a ‘difference’, no matter how big or small. It teaches our children to be responsible citizens and to appreciate those less fortunate than themselves. The children will all be involved in some fabulous activities such as; food collection, making birthday cards for people in residential care, thank you cards to the emergency services, collecting toiletries for food banks and singing to elderly residents. Hopefully this gives you a flavour of what promises to be a fulfilling day.